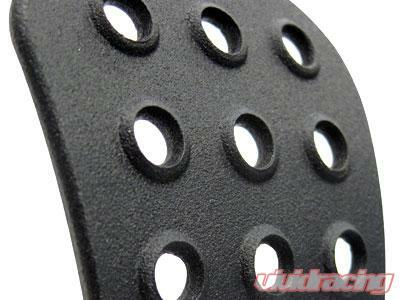 Rennline pedal covers have been designed to give you ultimate pedal control and comfort. The Rennline dead pedal is the largest available and gives your left foot plenty of surface area to grip when maneuvering through those hard turns. Foot slippage is never a problem with Rennline pedals. 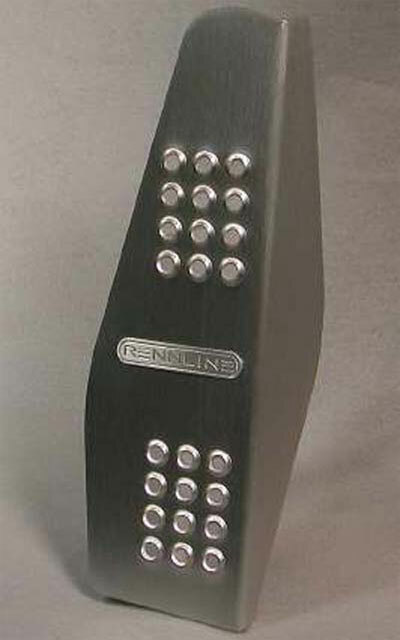 Rennline pedals all have a raised surface treatment that forces superior foot adhesion. 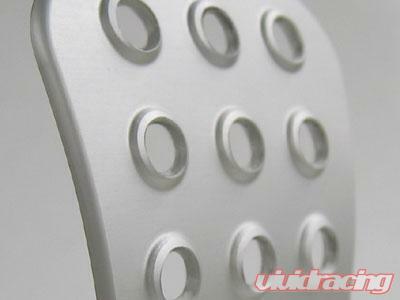 Rennline pedal sets are constructed of aircraft grade aluminum and all stainless steel hardware. Contact Us with any questions..
Rennline Inc. is located in Milton, Vermont just minutes north of Burlington and within close proximity to Montreal, Canada. Rennline is an industry leader in unique, after market, motorsport accessories for German automobiles. Their extremely diverse facility allows them to design, as well as, prototype and manufacture all of their own products in-house. This aspect gives Rennline constant control over innovation, quality, pricing and availability of all Rennline products.